Brits have a love hate relationship with American cars. Famous for their spongy suspension, clunky automatic gearboxes and simply enormous size, they can't compete with the sharper dynamics of European models. Nonetheless, the American muscle car sector has a huge and loyal following this side of the pond. However, there are some cars our American cousins have which could fit in very well in the UK. 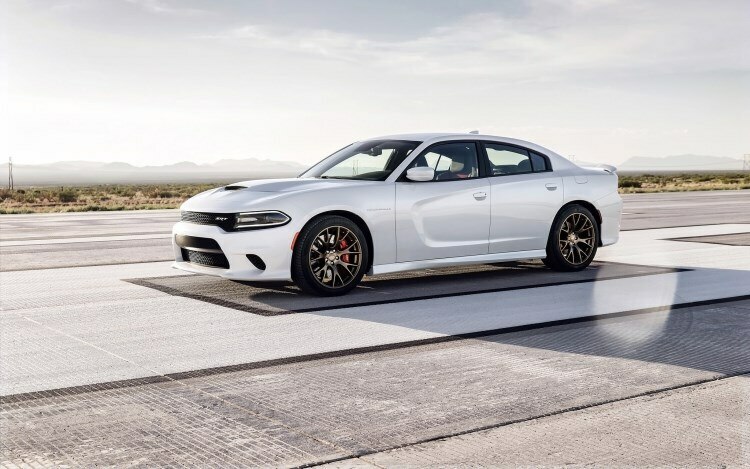 Typifying the American dream, even performance purists could be swayed by the sheer power on offer here - the Hellcat comes with a 6.2 litre supercharged V8 turning out 707bhp. There's also the romanticism of the Dodge Charger badge and its place in popular culture. Hyundai's luxury saloon has been strangely absent from its UK line up but the Korean firm plans to rectify that with a limited release at selected dealerships. Unfortunately the prize model, a 5.0 litre V8 with 420bhp, is not to be included in the UK range, thanks to its European Commission baiting thirst for fuel. Similarly, Kia's big, smart saloon doesn't fit very well with the budget Korean firm's back to basics UK image. It comes with a very American quotient of gadgets, wood veneer and leather trim and marshmallow like suspension. You can forget shopping centre multistoreys or squeezing into a space on the school run in one of these. Its enormous size makes it equally unsuitable and desirable, but Ford's most modern and economical EcoBoost engine makes it a more realistic prospect for Europe than previous versions. However, you'll probably need to rebuild your garage to house it. It's not particularly exciting - in fact it's barely more than comfortable and competent, but Toyota's family car was the USA's best selling model for years, so it must have something going for it. Chevrolet has decided to give up on Europe altogether thanks to pathetic sales figures. However, the picture could have been very different if they'd offered the SS over here as well as the distinctly lacklustre Spark and Cruze... It's a brutal 6.2 litre V8 powered beast that will reach 60mph in 4.7 seconds - without looking like a boy racer's car. Surely this one could have found the US brand a decent audience in the UK?